This may be one of our most fun summer garden fun ideas yet! 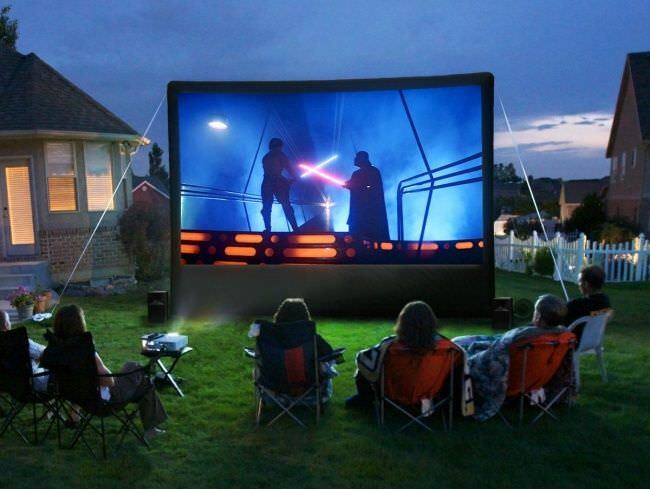 Build a backyard movie theater! Ok, it wasn’t our idea. But we’re running with it. Sound like an impossible DIY project? Not! We have tutorials for every skill level, and remember, even an old sheet and a projector still make a great movie night. 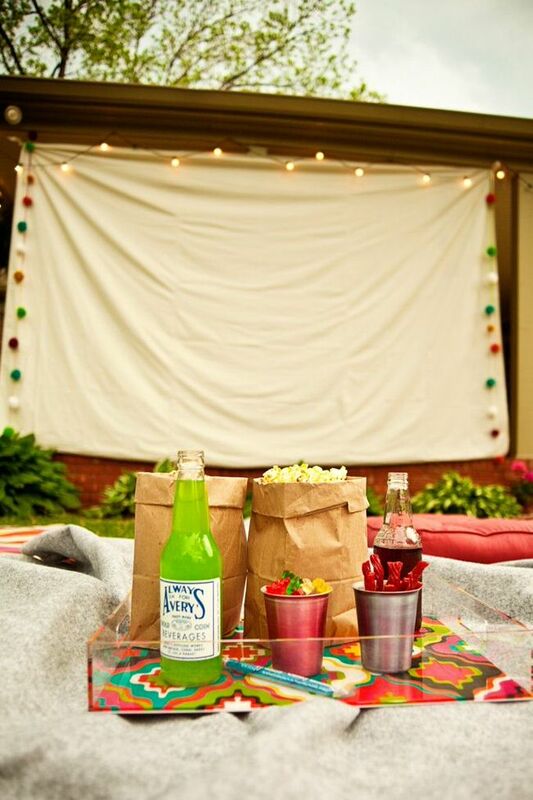 But for those of you who want a little more in your outdoor movie theater experience, try these ideas. 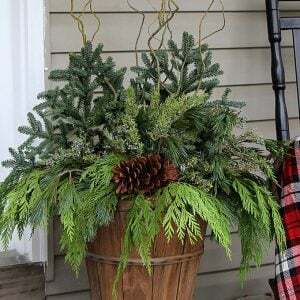 Most of the tutorials require simple materials including pvc pipe, buckets and sheets. 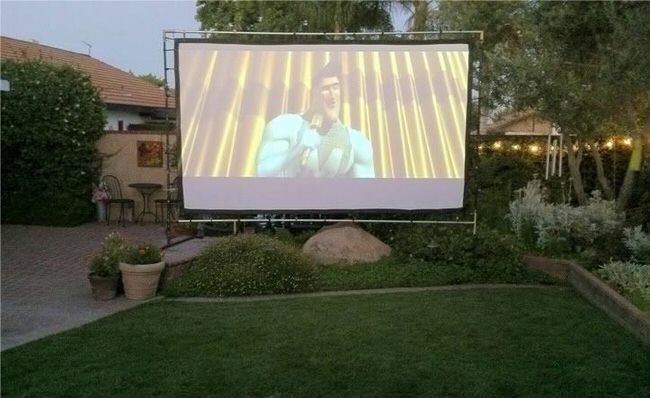 You could also consider investing in a higher quality outdoor movie screen for a more upscale experience. And don’t think this idea is just for the kids! We know lots of couples who host outdoor movie/wine tasting parties that don’t include the little ones. Ready to roll? Don’t miss all the great tips these bloggers post on their tutorial pages as well. ‘Pottery Barn‘ has gotten in the “picture” with a simple version of a backyard movie screen. This is a simple and quick tutorial at their blog, not a product page. Cozy! ‘Digital Trends‘ has tons of great info. If you are building an outdoor theater… then you should read this, as it covers everything from logistics to social etiquette. 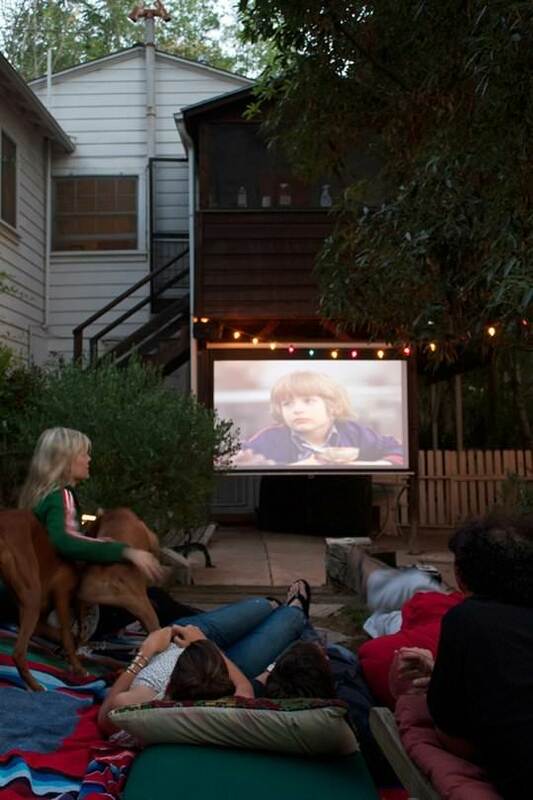 How to Host a Backyard Movie Night! AmberLee of ‘Givers Log‘ has some great tips as well, including projector placement and even food! 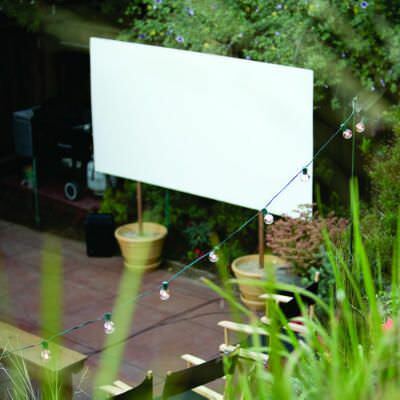 Best of all, she has ideas for alternatives to homemade screens in her Backyard Movie: How-To! 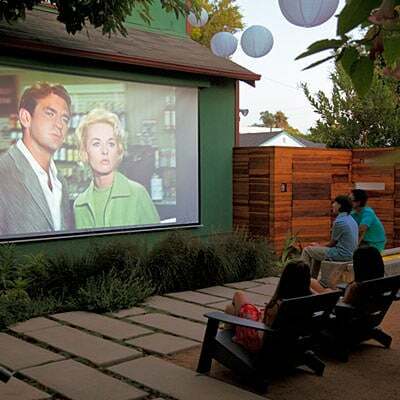 ‘Sunset‘ magazine created their backyard movie theater with the same idea as the projects above with a frame, concrete in buckets (or pots) and a screen. They offer another alternative to a sheet, and also some good resources online for projectors. Lots and lots of tips from Cracker Jack Theater including sound systems and storage ideas, but also a new idea for using your outdoor theater. 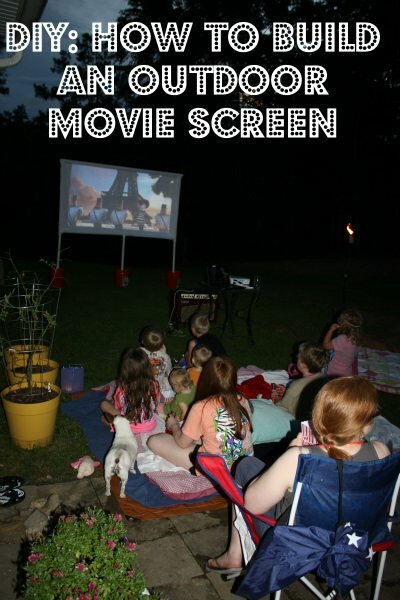 This project is by ‘Wholesome Mommy‘, and she has an incredible step by step on how to build an outdoor movie screen. Packed with easy instructions, step by step photos, and tons of tips, this is a good basic primer on how to do it right. 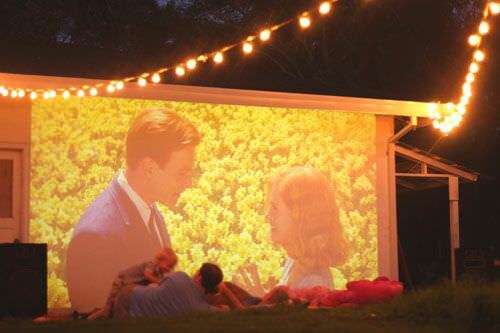 We found this great DIY outdoor movie screen photo floating out in internet space, but it’s so inspirational we wanted to share it. This is the life, folks! 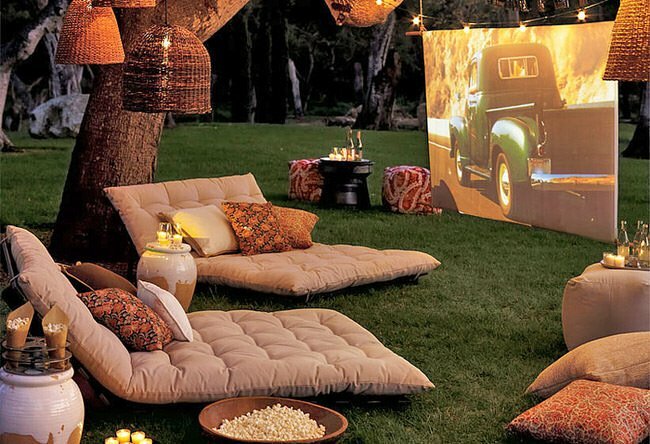 And lastly, a couple more inspirational photos of outdoor movie screens and backyard theaters to get you motivated! We know you will also love our posts on Fun & Funky Backyard Ideas and How to Build a Kids Playhouse! So fun! 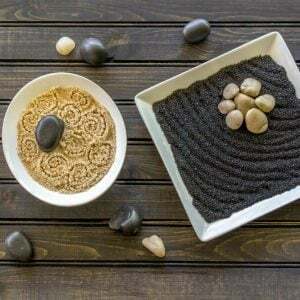 Doesn’t seem that hard or time consuming..and would love to surprise my family and our teenage daughter may love to have friends over for this idea! My husband wanted to build an outdoor screen when we bought our house about three years ago. Chris doesn’t do anything half-way, and I knew he bought billboard tarp because sheets aren’t very good movie screens; the light goes through the sheet so you end up with a terrible picture. You can try Silverscreen paint on a wall or cement board, blackout material would be the next best thing after paint. It will be a lot easier to get wrinkles out and be significantly cheaper than sheets. Our screen ended up being so huge it covers both garage doors. But, it gets used a lot, from the spring through the fall. (We entertain a lot.) Sometimes, just the two of us will watch movies using the small portable screen we picked up at a garae sale for $5. HiHi. My husband and I want to make an outdoor movie theater. Now that are girls are grown its mommy and daddy time.I have looked everywhere for the brown loungers that are in that picture.Please ,please can you let me know where you bought them. Maybe the frame is made DIY and just the coushions were bought. Thank you for your time I’m looking forward to hear from you. If you are talking about the very top photo, I believe they are Pottery Barn! 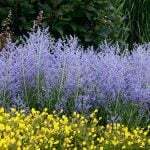 Do you know what they are called? I have not seen them at pottery barn. Yes, the ones shown in the first picture. Thank you. I’m sorry, I don’t! A quick look and it looks like they don’t carry them any more. They are cool, I hope you find some like it! Wish I could have helped more! Google floor pillows world market has cool ones. I went with a papasan chair cushion from old time pottery to keep costs down when I put a reading nook together for my daughters room. Sounds fun and easy! I want to show home movies at my daughter’s graduation party! Any one have experience/recommendations with a good projector for outside? I have an NEC VT-695 which I picked up on eBay for $60.00. I would recommend at least 2,500 lumens and you should be able to start your movies right around 8:00 PM – EST in the summer. Just be mindful of the hours left on the bulb if you pick up a used one and CHECK CHECK and TRIPLE-CHECK the pictures for the quality (i.e. dead pixels, spots on the projector, etc.). I got a lot of ideas from this guy who does his Cracker Jack outdoor theater at http://www.crackerjacktheater.com/p/basics.html. I also picked up a receiver and (2) speakers for the sound for around $40.00 as well through craigslist. The screen I ended up making using Blackout screen from JoAnn’s Fabrics and having a local sign shop place evenly spaced grommets on them (total cose for the fabric on sale and the grommets installation was less than $10.00. The frame I made using PVC pipe and alot of trial and error. We did this for my son’s 8th birthday party. We attached a piece of wood to both ends of a king sized sheet and put one of the pieces in the the gutter. The other was at the bottom and kept the sheet taught and from blowing in the breeze.nwe had a fire in the fire pit and the kids slept in the tent after the movie! It was such a huge success that we are going to do it again ! Sounds like a wonderful Saturday Family night . I love, love this idea to give to my clients. Outdoor kitchens and patio are all the rage right now and adding something fun like this for the summer is a great idea. I love that people can make these themselves whenever the mood strikes.